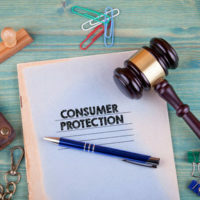 A rule proposed by the Consumer Financial Protection Bureau (CFPB) to protect consumers and make it easier for them to sue banks and other financial institutions has been struck down before it was set to take effect in 2019. The rule sought to protect consumers by prohibiting financial institutions and credit card companies from forcing consumers into arbitration when disputes arose between the consumers and the companies. While arbitration may be seen as a good dispute resolution process in some cases, it almost never works in favor of a consumer who has been the victim of a financial institution’s unfair practices. In arbitration, a consumer’s case is handled individually, by an arbitrator who is usually chosen by the bank, and the consumer may be limited in his ability to appeal the decision of the arbitrator. In some cases, consumers do not even bother to pursue their claims because they are discouraged by the way the financial institutions have set up the arbitration process. In addition, the consumer who is forced into arbitration may also be required to sign a non-disclosure agreement to keep the consumer silent about the arbitration process and any resulting settlement. The consumer therefore cannot publicly warn other consumers of the institutions’ practices. The alternative to arbitration, that the rule sought to make easier for consumers, is litigation; specifically class action lawsuits. Generally, it is more beneficial for many consumers who have suffered the same harm from a financial institution to pool their resources together and file a class action lawsuit. While the individual members of the class may receive financial compensation, when the consumers win, there are usually industry-wide changes instituted to address some of the systemic abuses the class action brought to light. The main argument in favor of scrapping the CFPB rule was to limit the number of frivolous lawsuits filed by consumers. However, while there may be some frivolous lawsuits that may have arisen from the enactment of the rule, there was a broader protection that was needed for the majority of consumers. While the legislation that is expected to be signed into law does not mandate arbitration, it leaves in place the current system of allowing the financial institutions to place arbitration clauses in their terms of agreements or contracts with consumers. Since most financial institutions use these arbitration clauses, consumers are really in no position to negotiate and require these clauses to be removed from their individual contracts. Without agreeing to these arbitration agreements, most consumers would not be able to open bank accounts, get a loan to buy a car or a home, or get a credit card. Even with the rule against mandatory arbitration struck down, consumers may still have other options to fight abuses by financial institutions and debt collectors. There are other laws and regulations that may apply to your situation and allow you to seek compensation. For more information on how you can pursue a claim, contact an experienced Philadelphia consumer protection lawyer at the law firm of Louis S. Schwartz, Attorneys at Law.